Renee Mankoff knows the real estate industry inside and out. She is currently an Associate Broker and the Operations Manager of The North Star Team of Long and Foster. Her experience during her career in real estate includes having been recognized for her achievements, including being a member of the Weichert REALTORS® President’s Club for 4 consecutive years prior to moving to Long & Foster in mid-2015. Since joining Long and Foster, Renee has been a top producer & member of the Gold Team, a trainer and mentor. Prior to becoming a REALTOR® and working with residential buyers & sellers, Renee spent 16 years in Commercial Real Estate Finance. "My experience in real estate finance gives me the ability to answer my clients’ questions about financing and talk with them about payment differences based on price. This streamlines the home-buying process when they can target the right types of homes for their budget. I’m committed to providing outstanding customer service through excellent communication with everyone involved in the transaction, and through effective negotiation on behalf on my clients." As the Operations Manager of The North Star Team, Renee is responsible for managing all transactions, including communications with clients, negotiations & marketing. "Keeping transactions moving smoothly involves anticipating potential problems and having workable solutions at my fingertips. No two days are alike & no two transactions are the same. I love what I do & my loyal clients are the greatest reward." Renee is a member of the National Association of REALTORS®, Maryland REALTORS® & The Howard County Association of REALTORS®. 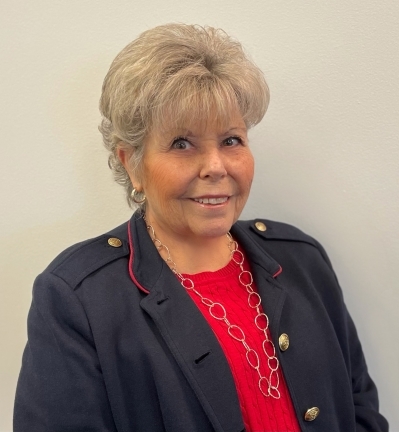 During the past 8 years, she has served as a Director, Secretary, & as President of the Board of Directors for HCAR as well as having served for 2 years on the Board of Directors for Maryland REALTORS® and their Executive Board. She has recently been accepted as a Board Member for HopeWorks, a Howard County non-profit serving the community. City living at it's best. Great 2 bedroom, 1 1/2 bath town home in Brewers Hill with main level hardwoods, exposed brick, impeccably updated kitchen, finished basement with half bath, and rear parking pad. Don't miss the opportunity to make this charming home your own. "I hired Renee to sell a town home I owned in Columbia. She came highly recommended and i learned why. She is knowledgable and a tenacious person. Her follow up is phenomenal. She can be both sweet and when necessary rolls up her sleeves and gets people moving like a drill sergeant. Nice person all around, great Realtor"
"I give my highest recommendation to Renee Mankoff, who was our real estate agent for the sale of my mother’s house. This was a complicated transaction because my mother lived across the country from us, and we had to find an agent who could work long-distance with us. Renee came highly recommended from another real estate agent friend, and she certainly lived up to her reputation. Renee met with us promptly the first time we were visiting my mom’s house, to establish the general groundwork we’d be following. She was 100 percent timely and reliable, always available to answer questions by phone or email, and completely on top of all the steps we’d have to take to complete the transaction. In fact, she saved us from several potentially serious missteps. Though the transaction could easily have gotten bogged down in long-distance details, it went smoothly, from start to finish. Renee recommended a realistic price, we received a strong offer four days after we listed it, and Renee and the escrow agent she chose made sure the whole process went off without a hitch. Renee proved herself to be smart, ethical, experienced, and just a great collaborator. I would recommend her to anyone looking for a good experience in selling a house." "Renee was great to work with. She was very knowledgeable about the area and helped us to find a house on a tight schedule. She is with you every step of the process and helps to answer any questions that might arise. She is very in tune with your specific desires and won't waste your time looking at houses that aren't right for you. We would definitely use her again and recommend her to our friends."